Recently, the Sierra Club (and George Monbiot in the UK newspaper, The Guardian) published articles intended to debunk a means to remedy climate change and other environmental problems that, under most circumstances, would appear to be a natural candidate for support, rather than opposition, from a group that calls itself “environmental.” For one thing, the remedy this major environmental organization set out to discredit is: simple and down to earth, utilizes skills and activities that have been familiar to humans for millenia, and involves an interaction that ecosystems have used to cycle CO2 as long as life has existed on Earth. Contemporary environmentalism operates on the principle that all problems in nature result from the impact of humans, and for that reason the way to save the world from climate change, species extinction, desertification—all environmental problems — is to reduce the impact of humans across the board, whether that impact comes from using carbon fuels, grazing livestock, consuming too much, producing too much, reproducing too much, or doing too much of anything except regulation, reduction, and protection. The space program reveals a fundamental flaw in that reasoning, which we’ll get to as the discussion continues. I’m sure there are plenty of you saying, “What’s wrong with that? 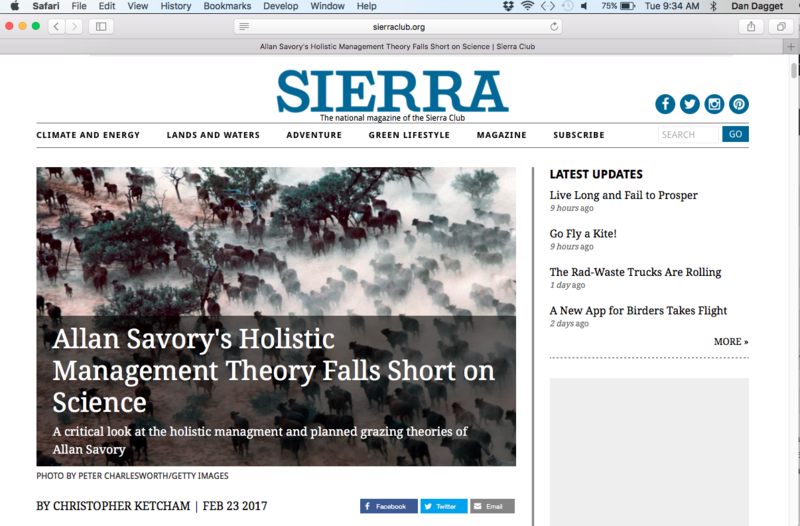 !” The fact is environmental groups such as the Sierra Club have convinced virtually all of us that the only method to deal with (or remedy) environmental damage of any sort (grazing included) is to support (and contribute to) the product they market — “protection.” That’s why Savory’s significant success in countering that almost universal assumption has the Sierra Club alarmed. Savory and his “Holistic Management” technique represent significant competition. How significant? According to Savory, he has convinced tens of thousands of ranchers and farmers around the world to adopt or adapt his techniques on tens of millions of acres of land, and millions of non-ranchers support those techniques. So, how did Savory come up with such an outrageous idea that more cows rather than fewer are better for the environment? By watching grazing animals, both wild and domesticated (cattle), herded by predators both four and two-legged (maybe a better word is “herders”) interact sustainably and naturally with the savannahs and grasslands of Central Africa. In the 1960s, in advance of sending a probe to Mars, NASA decided it might be a good idea to know in advance if life exists on the Red Planet, so they enlisted a number of scientists to come up with a way to tell if there is life on a planet without (or before) visiting it. Among those scientists was James Lovelock, an English chemist known for thinking out of the box. Here on Earth, plants, both on land and sea, produce oxygen as a byproduct of photosynthesis, in other words, as a byproduct of living. What that means is here on Earth living things create and sustain one of the main components of the conditions required for life by, of all things, living. 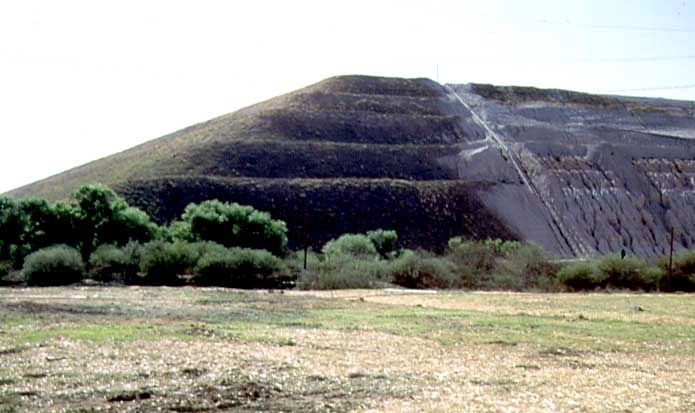 The above photo shows a 300 foot-high pile of mine “tailings” consisting of rock crushed to the consistency of talcum powder and washed with chemicals, including cyanide, to remove the copper and other minerals. A local range manager with a degree in range science (Terry Wheeler) noticed that, along the edges of this pile, the only manner in which plants were managing to venture onto this wasteland was by growing in the tracks of, and near the dung left by, various animals — deer, coyotes, even an occasional maverick bovine. 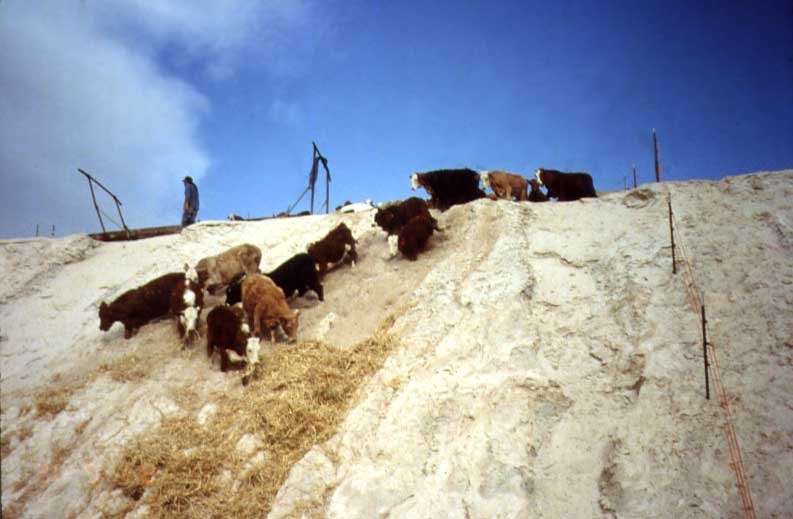 This photo shows the first time cattle were lured down the side of the tailings pile with bails of hay. 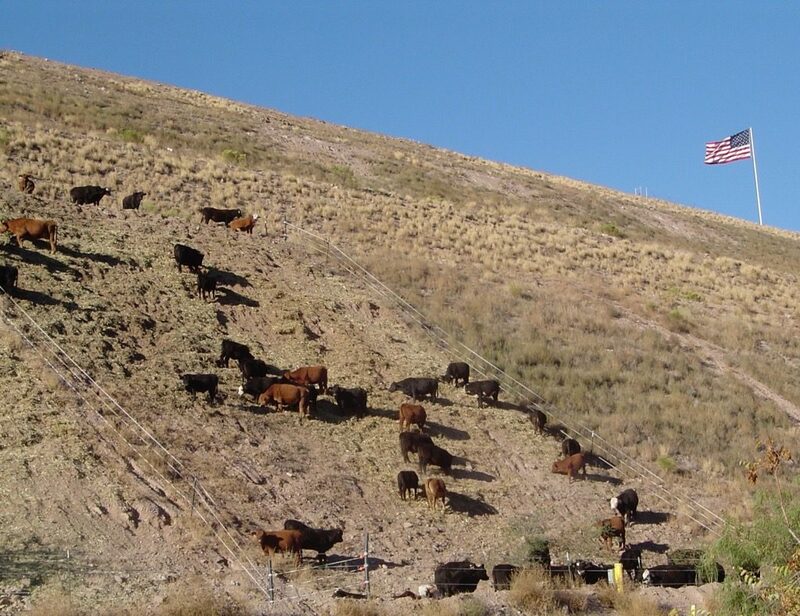 Here’s a more organized application of cattle to mine tailings. 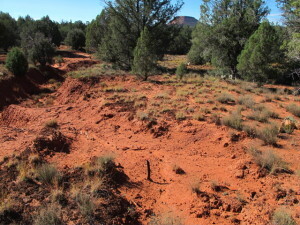 These “after” photos show how effectively the method based on the principles of Allan Savory and the Gaia hypothesis can “accelerate plant succession and green deserts,” to borrow a few words from Mr. Ketcham, the Charter Trials study and David Briske. And finally, cows doing a little touch-up work a few years after their initial restoration. 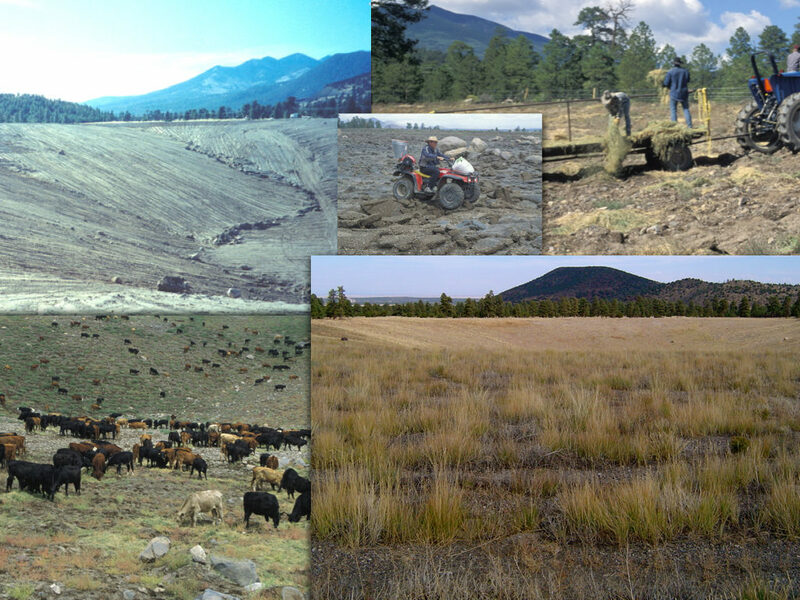 As for “climate change,” the issue that is so important to contemporary discussions about environmental health, the photo to the right shows with dramatic clarity the degree to which the Savory technique “sequesters” carbon in the soil. The photo does so by contrasting the dark brown of carbon tilled into the pale, sterile mine tailings by cattle stomping in the mulch of unconsumed hay and manure to be decomposed by microbes added via dung and urine. 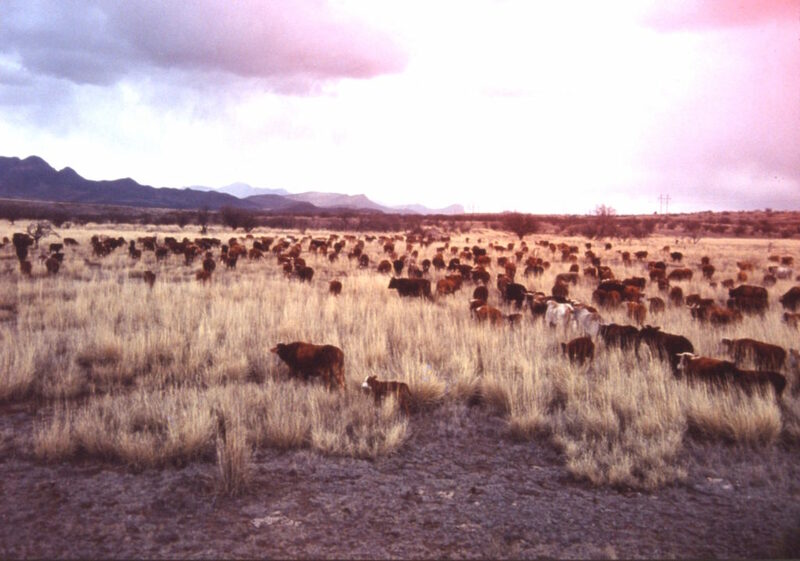 If you imagine this effect spread, to a significant degree, over the hundreds of millions of acres of rangelands of the West, the statement by Andres Cibils, a professor of range science at New Mexico State University (quoted by Ketcham), that, “Savory’s claim that… “increasing the number of cattle on the land,… can boost soil carbon sequestration… also founders under close inspection” does some foundering of its own. I’ve got lots of photos of restorations like this so I’ve included a few more as collages. 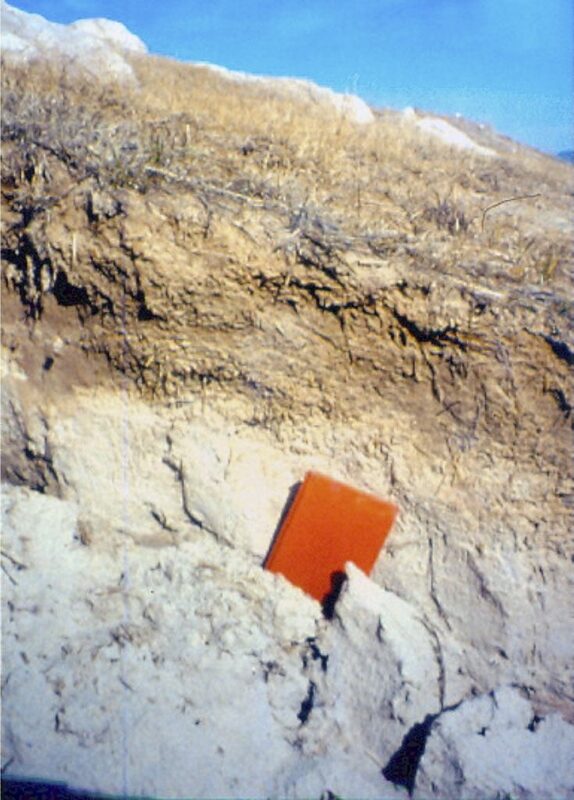 The first one shows a restoration completed in central Nevada on a gold mine site where Savory methods succeeded after conventional methods (spread seeds and wait) had failed. 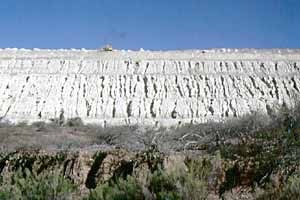 The second sequence was done near my hometown, at the time — Flagstaff, AZ, on a mining pit from which 3 million tons of gravel had been extracted. Conventional methods had failed on part of this site as well. The examples I’ve just shown you inevitably gives rise to the charge (or more appropriately: the realization) that the studies on which the scientists based the statements quoted by Ketcham have been inadequate, ill designed, and/or too narrow due to ignorance, prejudice, and perhaps advocacy. I believe the ignorance, prejudice, and/or intention that caused these studies to be so flawed and incorrect can be traced to a basic error in our culture’s most deeply held assumptions about nature (environment, ecosystem – whatever you chose to call it) – about how it functions, what causes it to be healthy or unhealthy, about what it is. “Cambridge Dictionaries” on the web defines nature as: “all the animals and plants in the world and all the features, forces, and processes that exist or happen independently of people. Merriam Webster’s definition — (T)he physical world and everything in it (such as plants, animals, mountains, oceans, stars, etc.) that is not made by people. In the same way that a science based on the traditional definition of nature is automatically biased against Savory’s holistic approach, such a science is also incapable of studying the negative effects of protection. The simple reason for this is, according to the most basic doctrine of such a science, protection returns land to “nature” by definition, and so, by definition, protection can have no negative effects. Talk about a threat to a marketing pitch! If that claim is true, it means that the remedy marketed by environmental groups as the panacea to all that ails the planet — protection — actually increases one of the afflictions to which it is claimed to be the absolute remedy — desertification (and, while we’re at it – climate change). This claim by Savory and some of the people who have applied his methods (that protection causes desertification) has fueled an uproar among all protection-marketing groups (and all protection-funded scientists) since Savory began making it in the 1970s. Here are some examples of that uproar quoted by Ketcham. OK. Let’s look at some land that Savory would describe as desertified by “rest” or the removal of the grazing synergy. First, here’s one of several photos I’ve taken of a U. S. Forest Service Study Area in central Arizona near the site of a town, now a ghost town, named Drake. In 1946 this “Drake Exclosure” was surrounded by a protective fence to provide an area to study (and illustrate) how effective protection is in enabling land to recover from damage caused by cattle grazing, among other things. No mistake: This land has been protected since 1946. The above photo was taken in 2014 and shows a monitoring site within the study area. 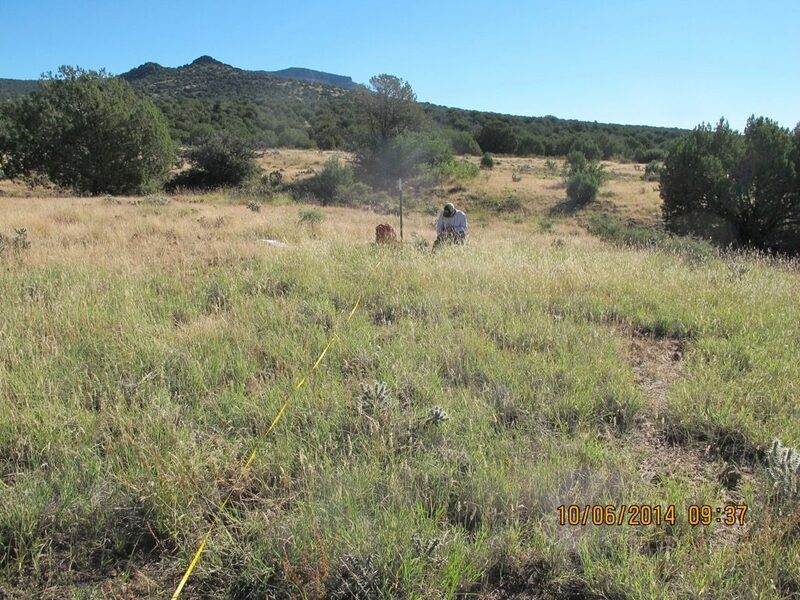 Let’s look at some more monitoring sites on the study area. 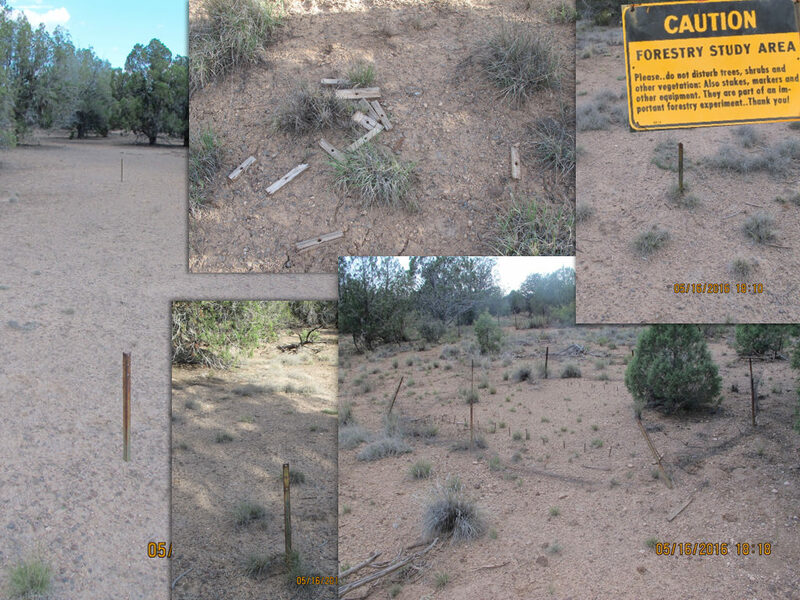 These sites are all within the U. S. Forest Service Study Area near Drake, AZ. All have been protected since 1946 (These photos were taken in May of 2016.) The way to read these monitoring sites is count and record the species of the plants that grew in the designated areas (between the stakes or inside the fence.) You can do that to a degree via these photos. While you’re at it, notice that these sites don’t appear to have been read for a while. Why’s that? Would you have the patience to come here once a year over the last 70 years and write down “zero” every year? While we’re at it here are a couple more study plots on protected land. The photo on the left shows another USFS study area protected since 1950. Obviously, This site hasn’t been read for a while either. 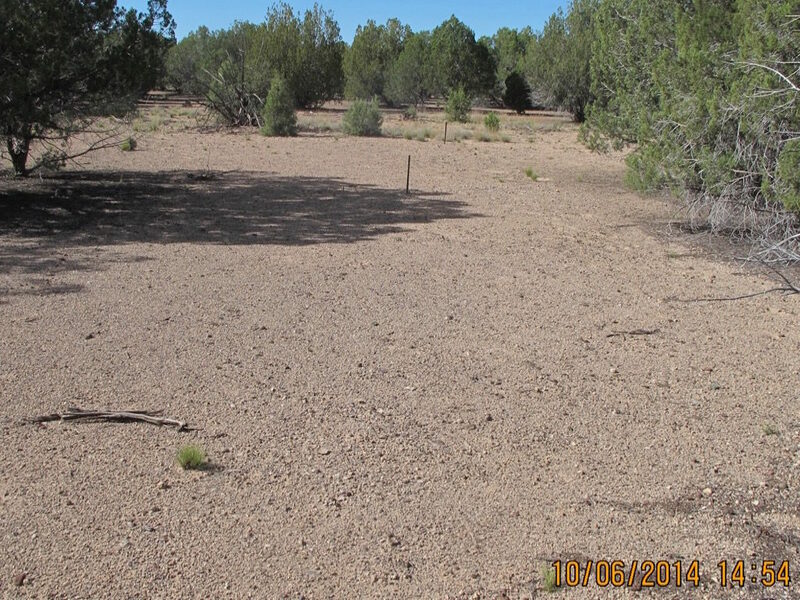 The photo on the right shows a study area on a ranch from which cattle where removed in the mid-1980s. What do these photos tell us about Kelsey Brewer’s quote in Ketcham’s article that Savory’s claim, that protection causes desertification, is “just wrong,” or that “A substantial number of studies on desert grassland have found that with rest, grass cover “increases dramatically?” I believe these photos tell us who is really wrong here, and it’s not Savory. So, let’s take a look at some monitoring sites on a ranch where the owners/managers are familiar with Savory’s principles and use them to plan their management. 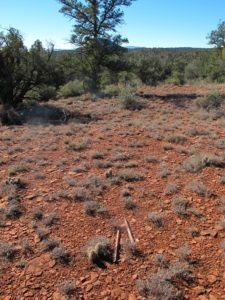 Whenever I’m available, I help monitor these sites with a crew which consists of staffers of various government agencies, US Forest Service, Arizona Game and Fish Department, Natural Resource Conservation Service, etc. And while you’re taking a close look at these monitoring sites remember to apply the same technique I described while you were viewing the photos of monitoring sites on protected land — count the plants that have grown (since this area was grazed a couple of months before) in the area designated by the tapes stretched between the stakes. Do these places look like “train wrecks” to you? What light do these examples and others included in this article shed on Cibils’ statement that “there are no credible data to support Savory’s success assertions.” And what about some of the other statements by the scientists quoted in Ketcham’s article? How about the inference based on “The Charter Trials” study that there is “no definite evidence that short-duration grazing . . . will accelerate plant succession,” and “The re-greening from cattle didn’t happen” ? Nor is there significant evidence that the Savory method doesn’t do all of the above. So, why did the Sierra Club publish an article designed to take-down, smear, disprove a set of practices that enable humans to work with nature in a manner that benefits both so dramatically, so obviously, so easily? Why would the Sierra Club want to disparage a method that truly can green deserts and reverse desertification, save endangered species (check this link), promote watershed function, in other words can actually achieve all the goals the Sierra Club and other environmental groups have identified as their reason for existing. Thus awakened, I did some looking on my own. In the 2014 annual report of The Nature Conservancy, I found assets listed at more than $5.77 billion. Total support and revenue for that year added up to more than a billion dollars. The Climate Change campaign is what turns this into a real bonanza. Al Gore’s recent estimate of the cost of averting global warming added up to $15 trillion! One reason we contribute money to environmental groups is because doing so identifies us as “part of the solution” for problems touted to be some of the most serious our species and the planet have ever faced. For instance, by supporting environmental protection, you take a stand as someone willing to protect nature from greedy capitalists who, you’re convinced, want to manipulate (overuse) it to make lots of money while ignoring the fact that they’re exterminating endangered species, overgrazing and decertifying grasslands, overcutting forests, overfishing oceans, increasing invasion by nonnative plants and animals, causing erosion, destroying watersheds and more. And because you’re protecting wildlife from this alleged eco-holocaust your credentials include the designation as “friend of plants and animals,” “bunny-hugger,” “vegan,” etc. Most important of all, by supporting protection you’re fighting Climate Change – global warming – whatever you want to call it, an issue that we are constantly told is the most serious problem threatening humankind today. Some people say it could end all life on the planet. And talk about a deal! To participate in all of the above you don’t really even have to contribute any money (although you’re certainly expected to). All you have to do is point your finger – blame capitalism, consumerism, climate change deniers, meat eaters; and support protectionist policies, vote the right way, look down on anybody who doesn’t, and don’t forget those contributions! Note, that what I have just described is of almost incalculable value. Here’s how: It serves as the material for college PHD degrees, professorships, even new departments… It provides the issue-base for the formation of not-for-profits, government bureaucracies (along with endless lists of regulations for those bureaucrats and their staffs to enforce), political campaigns even presidential ones, worldwide treaties, and on and on. Notice that this economic/political entity is obviously one that doesn’t take kindly to being told that what it does doesn’t work, or (even worse) that something which incorporates the old capitalist ways and produces nothing more than the raw material for a Big Mac works even better. But what about those abandoned monitoring sites pictured above. One would think that people who are contributing billions and billions to something as important as saving the planet would want to know about the significance of those study plots with nothing growing on them that haven’t been monitored for years? Those studies were supposed to measure, verify, and demonstrate the value of protection as a method to right environmental wrongs. This leads us to an element of Savory’s Holistic Management method that was totally ignored by Ketcham. An essential part of Savory’s method is the practice of monitoring results to see if what you’re doing is working. The Savory method includes the axiom: “Assume you are wrong,” because if you assume you are wrong, you’ll keep close track of the results of your actions so you can become aware of how to change what you’re doing when it doesn’t get the results you want..
Savory’s method monitors the physical condition of the land — what and how many plants are growing on it, and what’s their condition? Is organic material (litter) being incorporated into and enriching the soil? Is bare dirt decreasing? Is the water cycle functioning? etc. Within the Savory method, your management has to be sufficently successful to make the land green enough to feed your cows to keep you in business. If what you’re doing isn’t working, the land will tell you that you need to do something different. (But you have to be listening.) Maybe you need to use more cows. Maybe not. Maybe you need to change the duration, time of year, whatever, of your grazing. 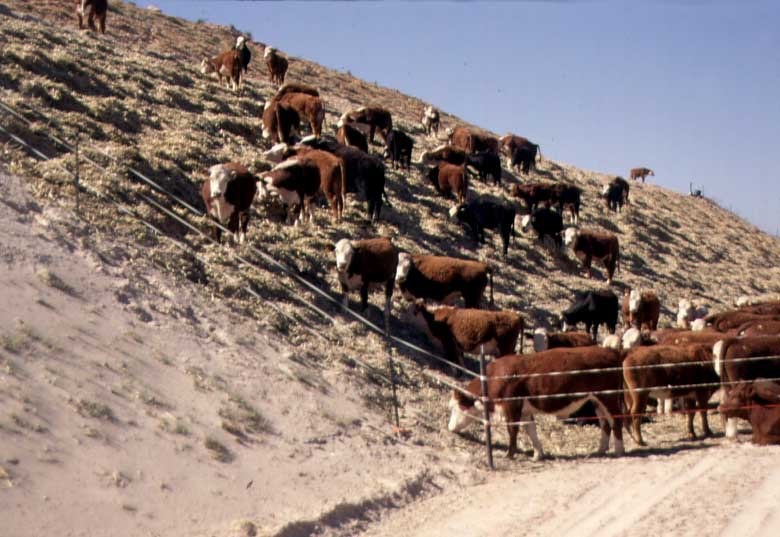 Land that confirms, via monitoring for results, that it is healthy enough to produce cattle will most likely also be healthy enough to provide wildlife habitat, native plant communities, watershed function, carbon sequestration, and more. It’s important to note here that I’m not saying environmentalists don’t monitor their results to determine if their methods work or not. They do. But they monitor in terms of how many contributions and memberships they attract, how much public support they gain, how much favorable media coverage they get, how many billion$ in grants they receive (environmental scientists, like the ones Ketcham quotes, especially pay attention to that.) Environmentalists monitor how their point of view plays in the political arena, how many politicians it gets elected (whom they can then rely on to create agencies, bureaucracies and regulations to expand the protectionist economy), how much land they can claim to have “saved”, how much the entire future of the world is considered to depend on what they do, and so forth. That’s why all those monitoring sites on protected areas have been abandoned. What can they tell you about the values just listed? If you’re a protectionist and you’re applying the method you believe is necessary to save the world, you don’t want to hear that what you’re doing is wrong. In fact you’re convinced that there’s no way you can be wrong — by definition. And if that restoration doesn’t seem to be happening very quickly, as it is in the case of those monitoring plots and study areas, well, it can’t be protection’s fault. 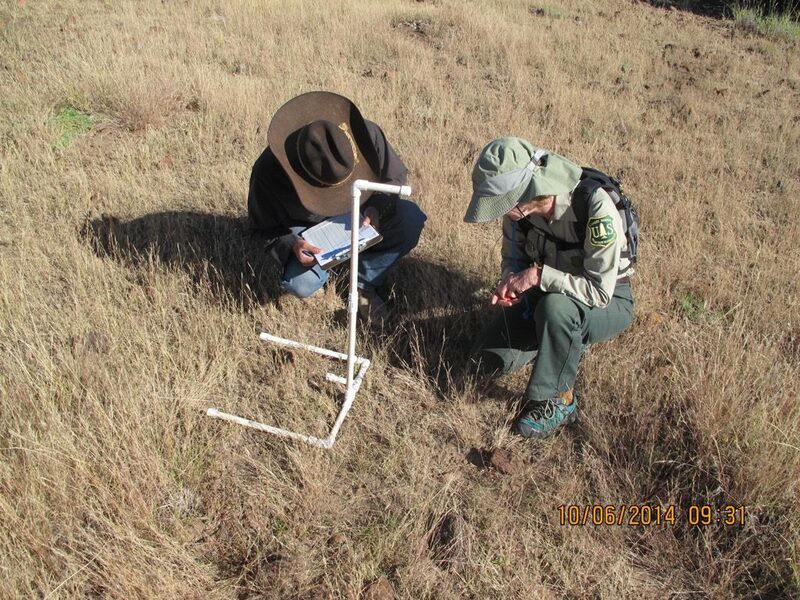 Those barren monitoring plots have to be, as Briske puts it: “slowly recovering from decades of abusive overgrazing.” In other words, your failure is always your opponent’s fault —by definition. In light of all this it seems clear that what Ketcham’s article really does is reveal that when it comes to the environment and our efforts to live within it sustainably, we have two sciences. One characterizes the situation as a matter of “us and them,” defines healthy (or natural) environments as ones that are protected (by “us” from “them,” of course) and then comes up with a science which completes the circle — “Healthy environments are ones that are protected, and so the only way to ensure that environments are healthy is to protect them.” Studies that confirm this are reported, those that contradict it are abandoned, and all this is used to market an immense industry, based of course on government — the entity that protects things in our society, that grows unabated by accountability. 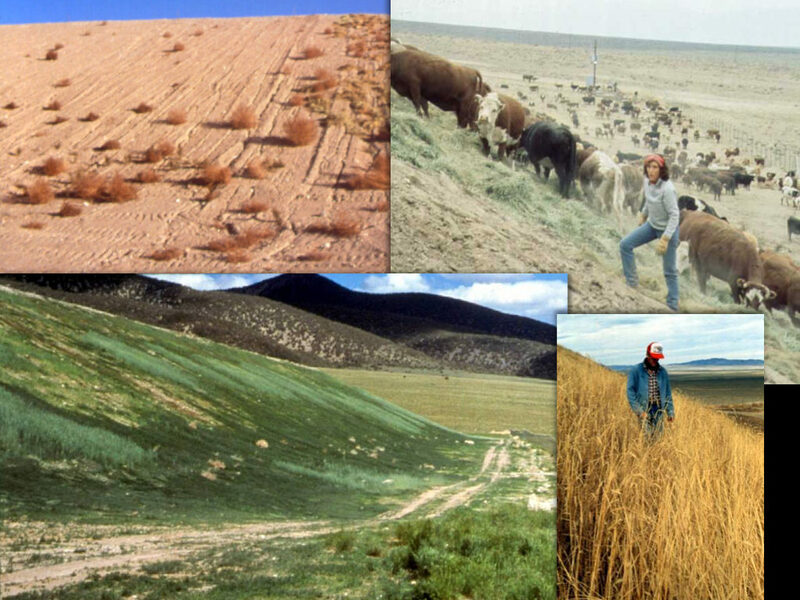 Apply this science by definition to the real world happenings illustrated in the photos included in this article (or look at what is really going on with real plants, animals and processes on some real rangeland) and the science of definition is wrong in every case. It is thus revealed as Fake Science by the real science of observation. So, while Fake Science serves as an indispensible sales tool for the “billion$ and billion$” economy of “us versus them” Fake Green — an economy, which is arguably causing more harm to the ecos than capitalism, it doesn’t serve very well as a tool for guiding effective or sustainable land management. Apply the science that is an outgrowth of the space program — James Lovelock’s Gaia Theory — to those same real world, photo-illustrated happenings, and everything makes perfectly good sense. 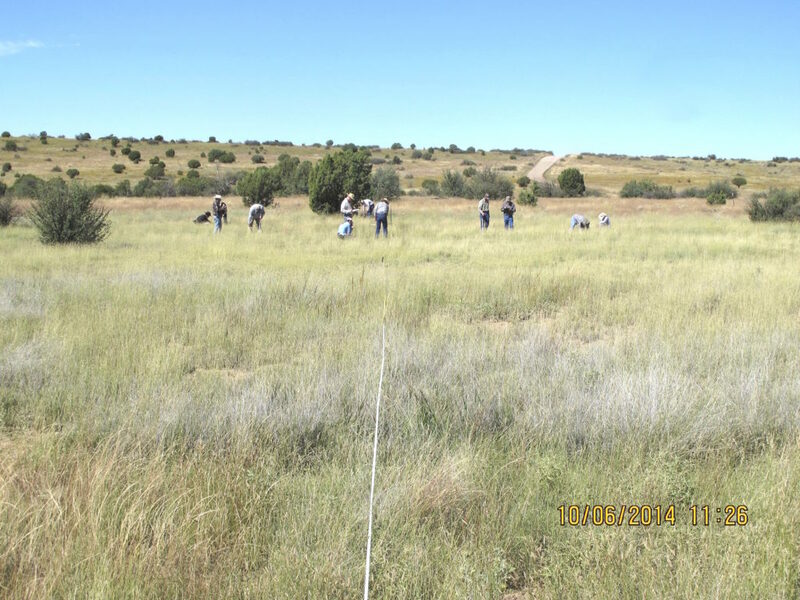 The photos of areas grazed by cattle managed in line with Savory’s insights are green and healthy because living things, including cattle and humans are interacting in a way that benefits both. Humans are acting as predators, cows are prey, humans are herding and moving cattle, who are harvesting, recycling, seeding, tilling, and fertilizing. The result is a prosperity that benefits more than cows and humans. It benefits deer, rabbits, mice, fish, birds, bugs, plants, microbes, the list is longer than I have room to include here. When seen through this Gaia science lens, those barren protected areas and abandoned study plots, make perfectly good sense, too . Within those barren areas the most significant predators, prey, circulators, harvesters, recyclers, seeders, tillers, and fertilizers (humans and cows) have been removed, and where the interaction of living things has been reduced, so have the conditions to support life and, thus, so has life itself.